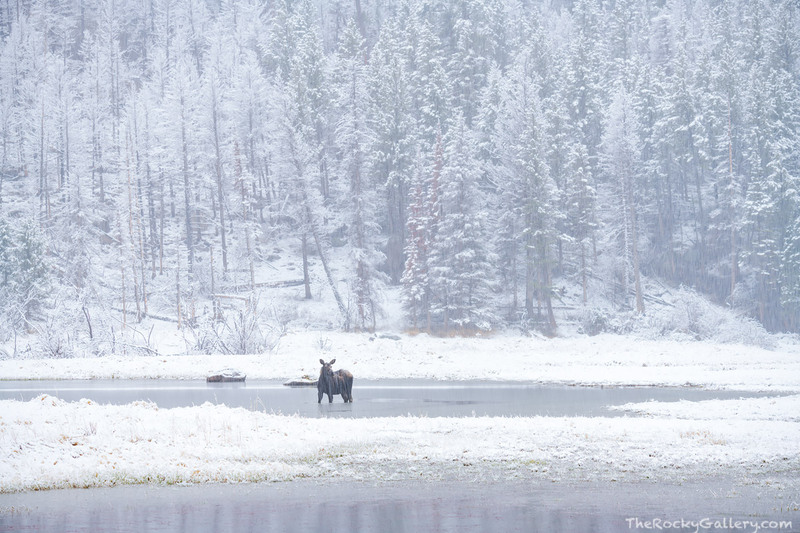 A solitary moose rides an early May snow storm out doing what moose do. Stand in freezing cold and icy water and eat. These ponds located between Moraine Park and Cub Lake are a favorite spot of moose that inhabit the east side of Rocky Mountain National Park. Photo © copyright by Thomas Mangan.